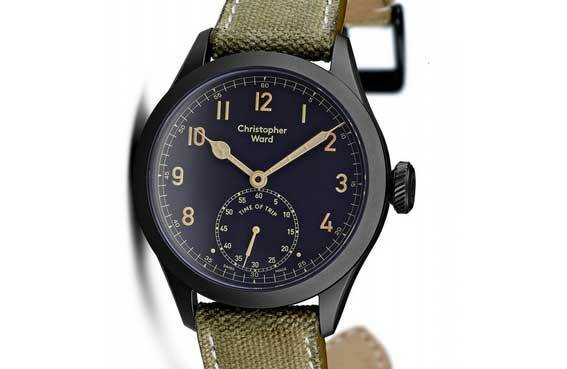 A watch made with metal from a Spitfire’s Merlin engine is the latest timepiece to join the range of Christopher Ward. 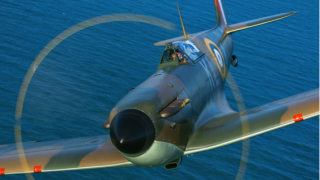 Not just any Spitfire either. 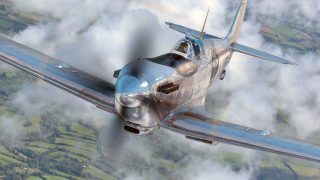 To mark the the 100-year anniversary of the RAF, the new watch is the C8 ‘Al Deere’ TM-B Limited Edition using metal from the engine of Spitfire Mk 1 X4276, which was WWII ace Alan ‘Al’ Deere’s personal flying machine. 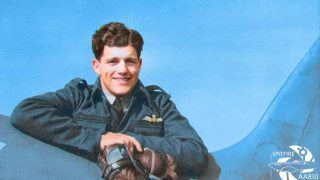 Al Deere was also a flight instructor and famously known for a mid-air collision with a trainee pilot on 28 December 1940. On that day, before takeoff, Deere had instructed a new trainee to ‘stick to me like glue’. Following this order, the trainee pilot collided with Deere but, fortunately, both bailed out safely. 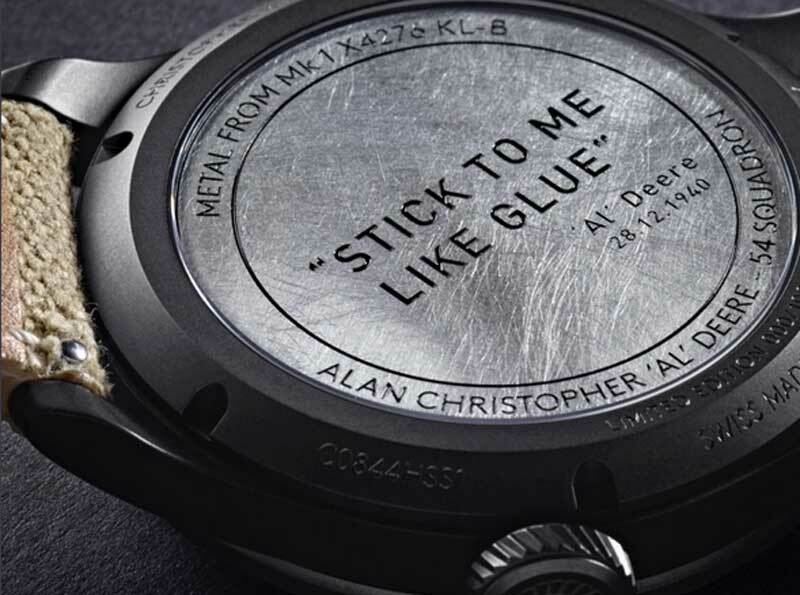 The ‘stick to me like glue’ quote is engraved on the new watch’s caseback, alongside the Spitfire’s identification code and squadron letters, below. 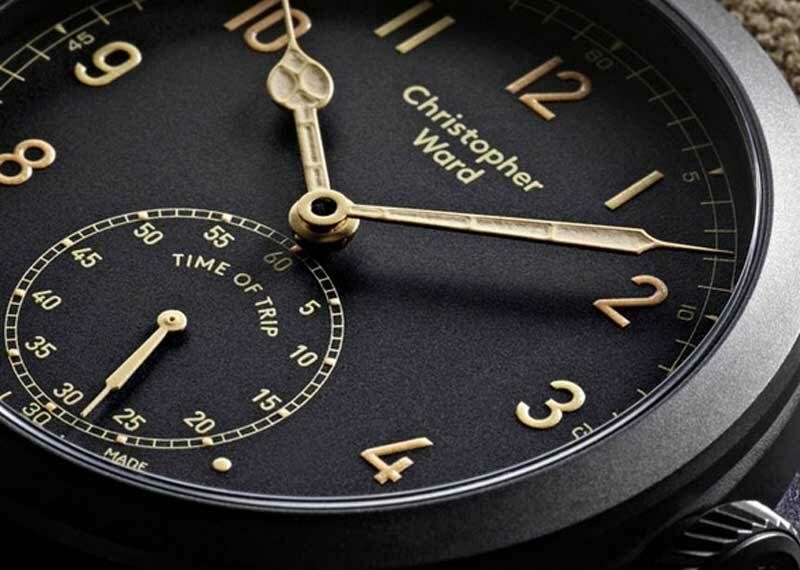 The matte black dial of the new watch is “inspired by the Spitfire’s Smiths Mk III clock and dashboard instrument panel” with a vintage-look, sans-serif font. 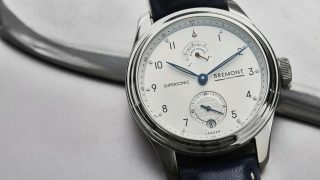 The small seconds subdial has a Spitfire ‘Time of Trip’ clock, pictured above, which allowed pilots of WWII fighter aircraft to measure and record flight duration, vital for navigation. 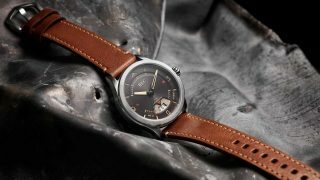 The C8 ‘Al Deere’ TM-B Limited Edition is limited to 100-pieces and will be available on a vintage oak leather strap, priced at £2,995.